Buyers YOU are responsible for knowing your state laws of what you can possessed in your state. All sales are FINAL we recommend you do your research before you buy! If you were to buy an item that you can not own in your state you would still be charged for the item. Then we will resell it for you at the next auction we have. All scores and measured are unofficial unless otherwise stated. Buyers pay all shipping fees and crate fee if applicable. We do all our own packing and customer pays for actual shipping. Any item that require wooden crate buyer will pay for labor & shipping materials. All Items can be held up to 15 days after the auction. Unless prior arrangements have been made. All items must be paid up front. There is a buyers premium per item at 18% it covers our time and effort to make sure you receive your product safely. There is no buyers premium for in house bidders. All items are sold as is. We represent the best photos. Please be patient with us on emailing the invoices, this is a 3 day sale. 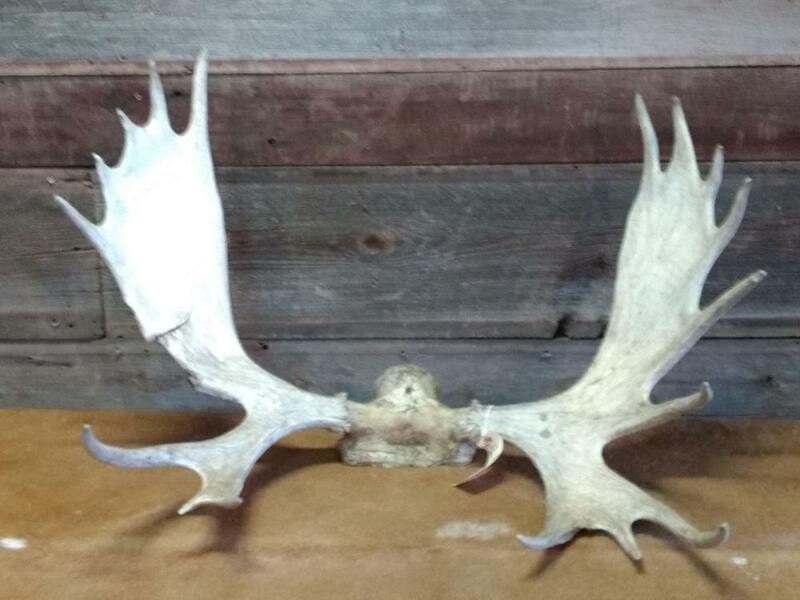 Lot 1A: Wild Iowa 4x4 Whitetail Rack On Skull Plate 159 7/8" typical frame Gross 165 3/8"
Lot 2A: Big Fairly Clean 8 Point Wild Iowa Whitetail Rack On Skull Plate Gross Score 153 3/8"
Lot 3A: 9 Point Wild Iowa Whitetail Rack On Skull Plate Gross Score 141 7/8"
Lot 7: BIG Whitetail Rack On Full Skull Lots Of Character 224 4/8"
Lot 9: Big Set Of WILD NORTHERN IOWA Whitetail Sheds Official Score Of 89 3/8 right side & 95" Left Side Gross Score Of 184 3/8" & Net Score Of 180 3/8" Without An Inside Spread BEAUTIFUL Color Bladed Brows & Double Row Tines TONS of character !! Lot 12A: Whitetail Sheds Double Drop Tines Palmated Good Color Right 95" Left 94"